Do you have trouble sleeping at night? 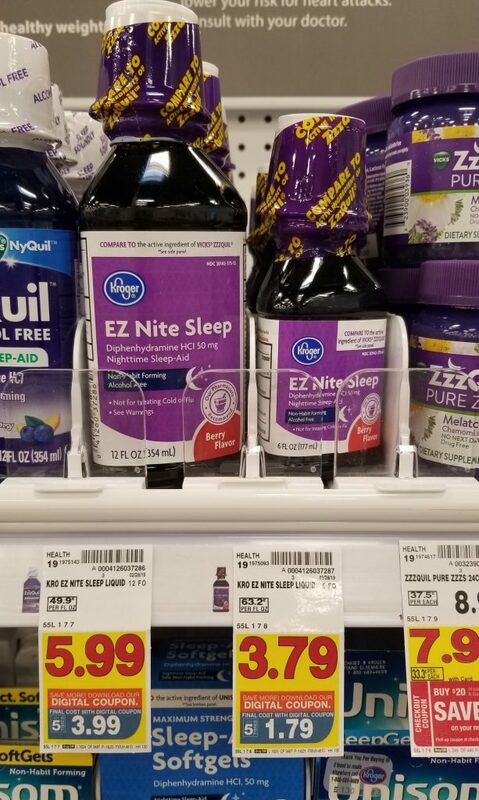 If so, you will want to snag this deal for your medicine cabinet. Final Price: $1.79 after coupon. 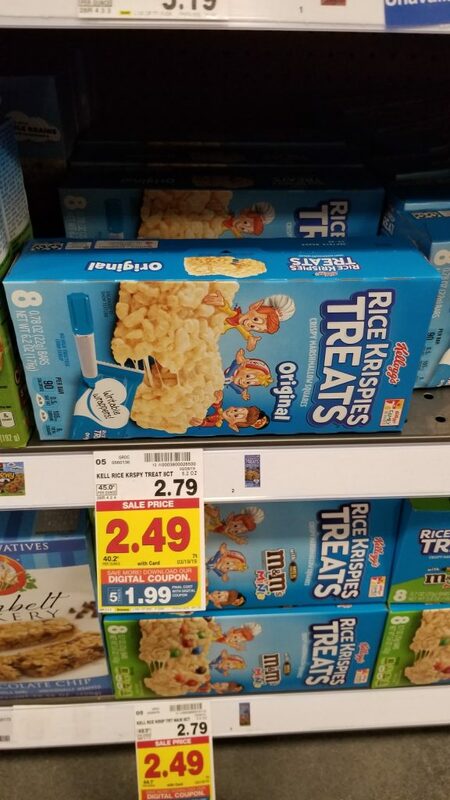 We love Kellogg’s Rice Krispies Treats in our house! And, they make the best treats from lunch boxes or after school snacks! And, right now you can take advantage of the Kroger 5x digital coupon them! Final Price: $1.99 after coupon. Do you have allergy suffereres in your life? I know I do in mine! 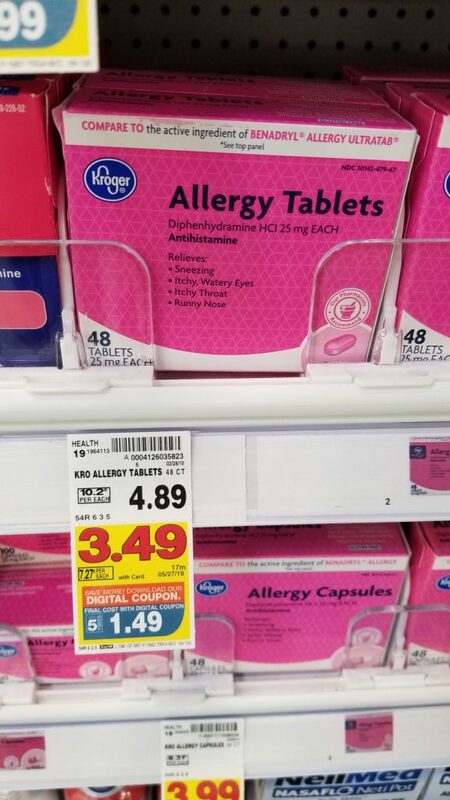 Now is the time to save on Kroger Allergy Tablets with this Kroger Digital 5x Coupon. 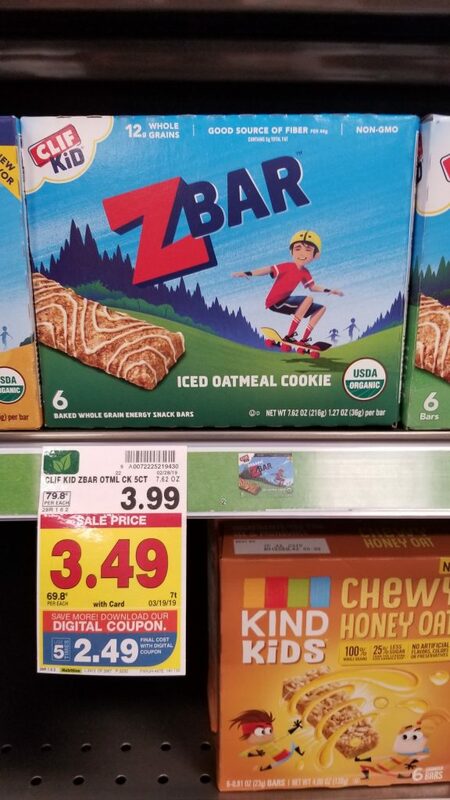 I love keeping these Clif Zbars in my purse for a quick snack on the run. Okay, well maybe in the car for those days that I don’t carry a purse! 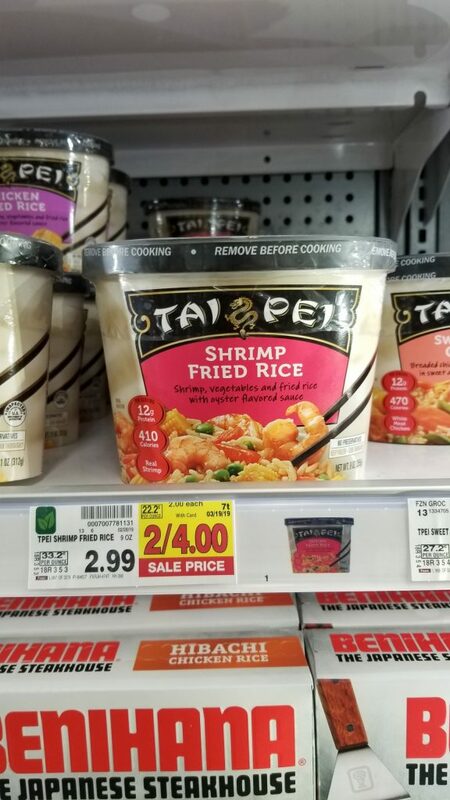 Final Price: $2.79 after coupon. Do you need an easy lunch or dinner idea? If so, here is one for you on Tai Pei! And, all you need is the printable coupon or the digital coupon. Final Price: $1.25 with coupon. MMMMM! Chocolate! I LOVE chocolate! And, sometimes you just need to have your own secret stash! Her’s a deal to put in your stash! Final Price: $1 after coupon. 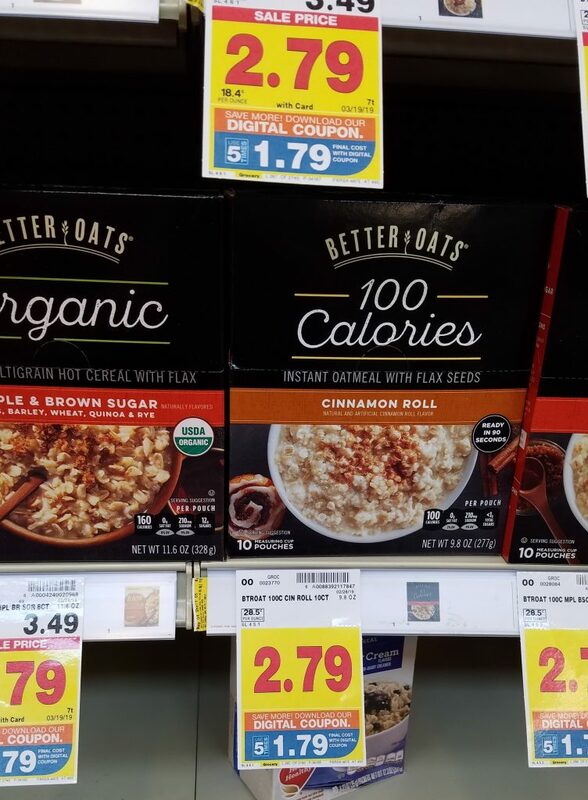 Better Oats Hot Cereal is on sale this week for $2.79 each. 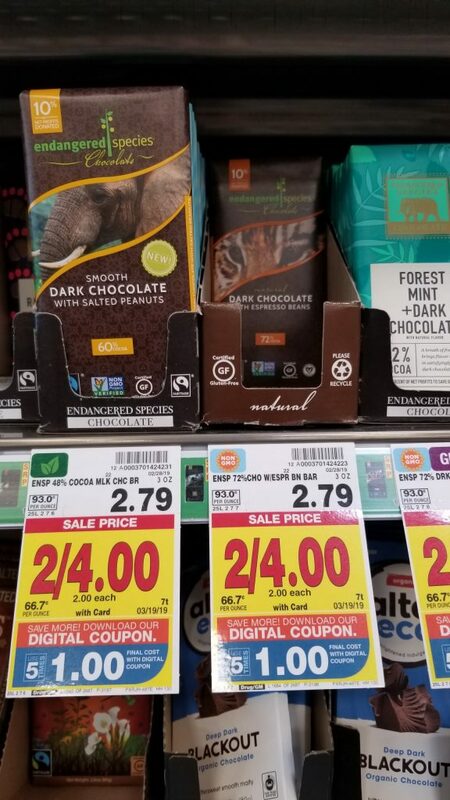 And, there is one of those Kroger 5x Digitals that can save you a $1.00 off each box for up to five! 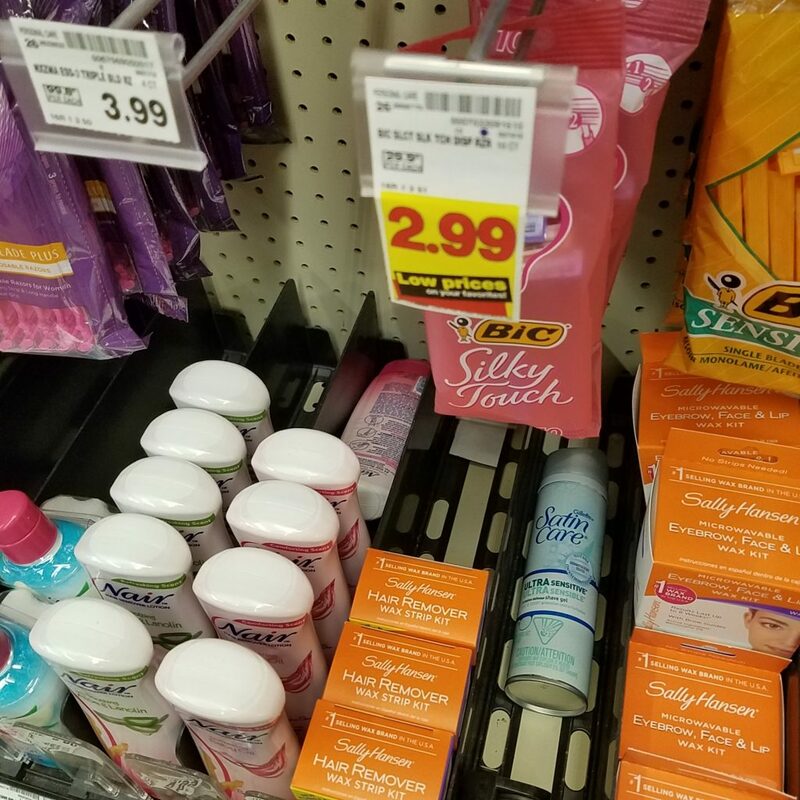 Have you seen the new Kroger Digital Coupon on Bic Silky Touch Razors? 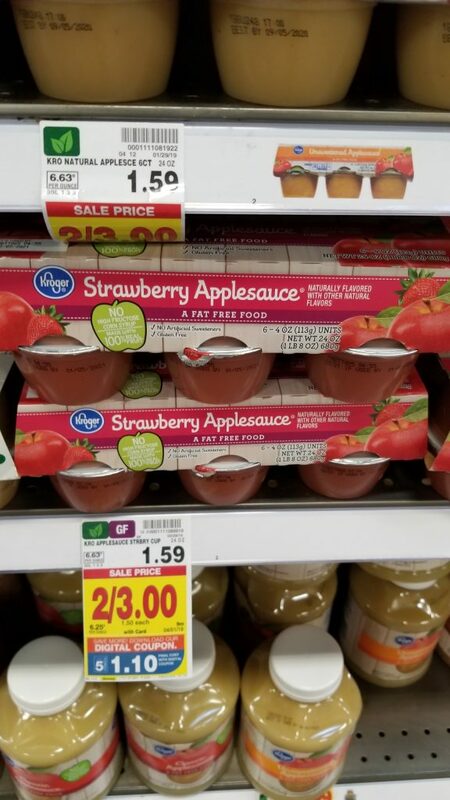 Kroger brand Applesauce cups are on sale this week. And, there is a new Krroger 5X Digital Coupon. I love these digital coupons. 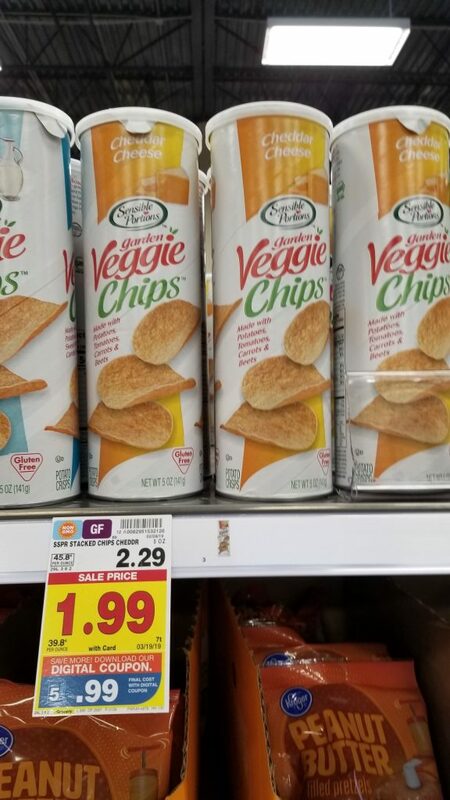 Sensible Portions Veggie Chips are on sale this week! And, there is a Kroger 5X Digital Coupon these are perfect for school or work lunches!